Who should pay the mortgage? Will all of the alimony be deductible? Who will receive the Child Credits? Become well-informed. Complete our brief contact form for free, immediate access to our analysis. 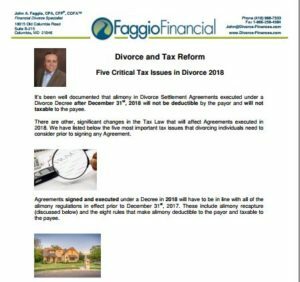 I want to know more about tax reform and divorce.